Paris : Sélection du Reader's digest, 1992. This is a hardcover edition Reader's Digest anthology that reprints Tony Hillerman's 1990 novel Coyote Waits. Included in this anthology are condensed version of novels by John Grisham, Jacques Duquesne, Rowena Farre, etc. The anthology was published in 1992 by Sélection du Reader's Digest in Paris, France. The novel was translated from Hillerman's original English into French by Barbara Nasaroff. Format: Hardcover, 19 x 13.5 cm. 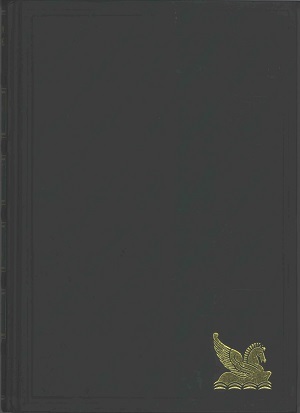 Binding: Forest green vinyl-covered boards and spine, golden embossed Pegasus lower right corner, titles printed in gold on spine.